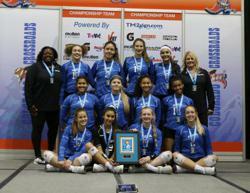 ASPIRE RANKED TOP TEN CLUB IN THE NATION - AGAIN! 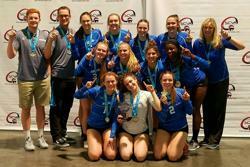 Triple Crown Sports has released its 2017 National Club Rankings and Aspire Volleyball has, once again, been ranked in the Top 10 in the country. That's back-to-back Top 10 rankings. No other club in the State was ranked in the Top 50. Congrats to Aspire's Coaches and Players for helping us achieve such an honor! 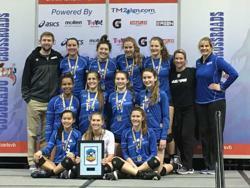 Congrats to 17 Rox on their great performance at the SCVA National Qualifier. 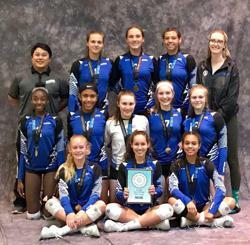 They took an undefeated pool play record into the Gold Bracket and reached the semis thus earning an Open Bid to Nationals! Congrats to players and Coaches and way to battle the flight cancelations, weather and the tough competition. Good Luck at Nationals! 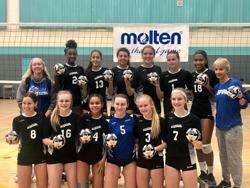 14-Rox are Colorado Crossroads 14-Open Champions!! 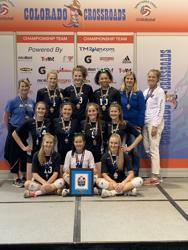 Congratulations to Aspire 14-Rox players and coaches on an amazing undefeated run through the tough field! Punched their ticket to Nationals in a big way!! 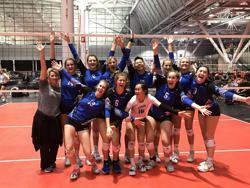 Congrats to Aspire 18-Rox on earning an Open bid to Nationals at the Boston Mizuno Festival! Learning late of a playoff for the last bid, the teams head back to the Convention Center from the airport, hotels, restaurants, etc. 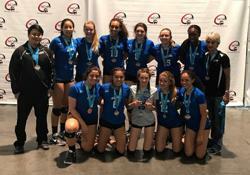 Aspire beat Rancho Valley 25-23 and came back from 20-24 to take the second 26-24 finishing 8-2 and earning the final bid!! What an exciting day!! 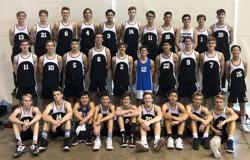 The 2019 Boys Qualifiers were kind to the bid seeking Aspire Boys teams. 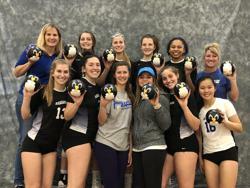 The 15 Black and 18 Black teams snatched up an Open Bid in the Winter Volleyball Championships hosted in Chicago. 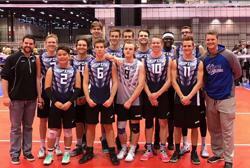 The 17 Black secured a USA Bid in the SCVA Junior Boys Invitational. 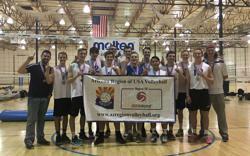 They will all be headed to Dallas this summer to compete in the USAV Boys National Championships. Congrats on the 3rd place finish and Open bid! Calling ALL boys 8th grade and younger!!! We are excited to announce our 3rd Aspire Spring Season. 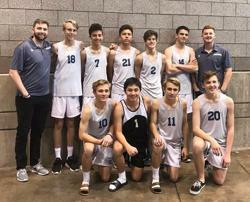 Each year we are experiencing more growth on the boys volleyball court and the Spring Season is a great opportunity to learn the game and prepare for next Fall club season. Check out the link on the boys page for more info! 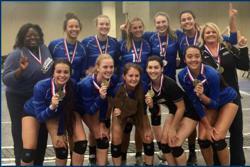 ASPIRE SENDS 7 TEAMS TO BJNC!! 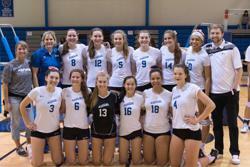 Congrats to all players and coaches on another great qualifier season! 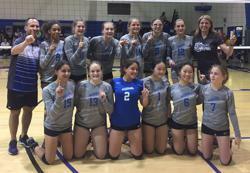 CONGRATS TO ASPIRE 15 ROX - FAR WESTERN NQ OPEN CHAMPS! 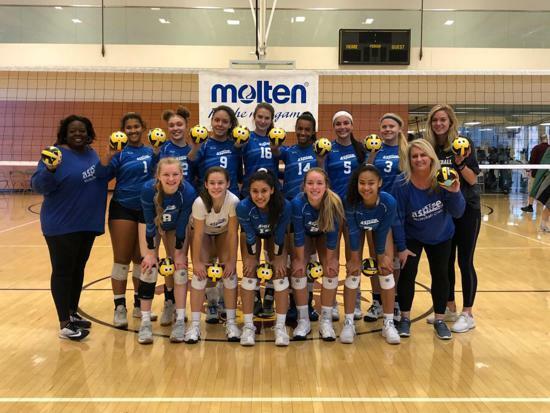 Aspire's 15 Rox wins the Far Western National Qualifier going undefeated in the tournament and upgrading their National Bid to an Open Bid for Junior Nationals. Congrats to players and coaches! 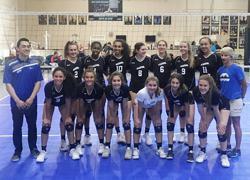 17-Rox wins the AZ National Qualifier and earns a "National" bid to Girls Junior National Championships!! 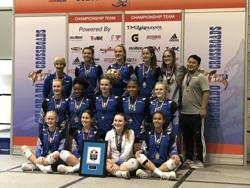 Congrats to all the girls and coaches, great job! Way to earn that bid!! 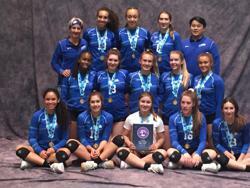 15-Rox wins the AZ National Qualifier and earns a "National" bid to Girls Junior National Championships!! Congrats to all of the players and coaches!! Way to get that bid and represent!! 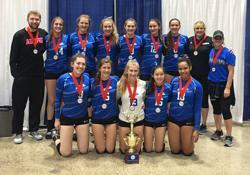 Aspire 15's Take 2nd and 18's Take 3rd Among Elite Field at Triple Crown!! 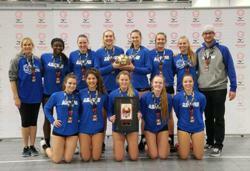 Congrats to Aspire's 18 Rox for being Music City National Qualifier 18 Open Champions and earning an 18 Open bid to Nationals! 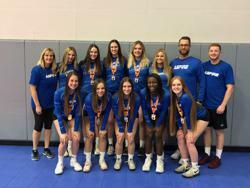 ASPIRE 18-ROX WINS DALLAS 18-OPEN QUALIFIER AND EARNS AN OPEN BID TO NATIONALS!! 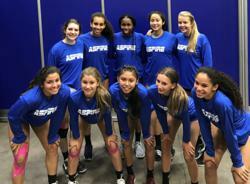 Far Western Update - Aspire 13 Rox will be playing in the Silver Bracket tomorrow! Finish strong girls and keep learning! 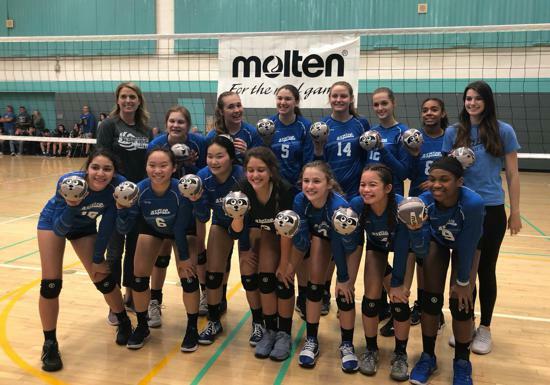 Far Western Update - 14 Rox is currently 5-1 and in the 4-team Gold pool tomorrow! RT @krgray93: @aspirevbc @yamashiro_a Yay and so did 12 Rox! GO ASPIRE!